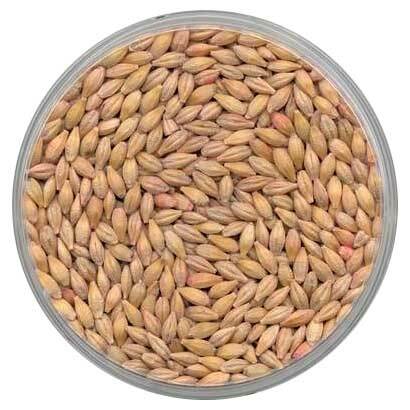 It is a cereal grain, having a mild, starchy flavor and a slightly chewy texture. Pearl barley, the most popular form used for cooking, has the outer hull removed and has been polished or "pearled." Barley is a whole-grain food and its consumption offers several health benefits. It is a highly soluble fiber and can reduce blood cholesterol and blood glucose levels. Barley is also low in fat. Types of barley include hulled, hulless and pearled barley. When barley is hulled, the tough inedible outer layer is removed. Still considered minimally processed, the hulled barley is a whole grain. It comes in kernels, flakes, grits and flour. Hulless barley, also known as naked barley, still has the tough outer hull loosely attached.